Unlike other in-line fi ltration solutions available on the market, the Xtralis In-Line Filter provides superior performance in terms of improving detector longevity and reducing maintenance frequency. 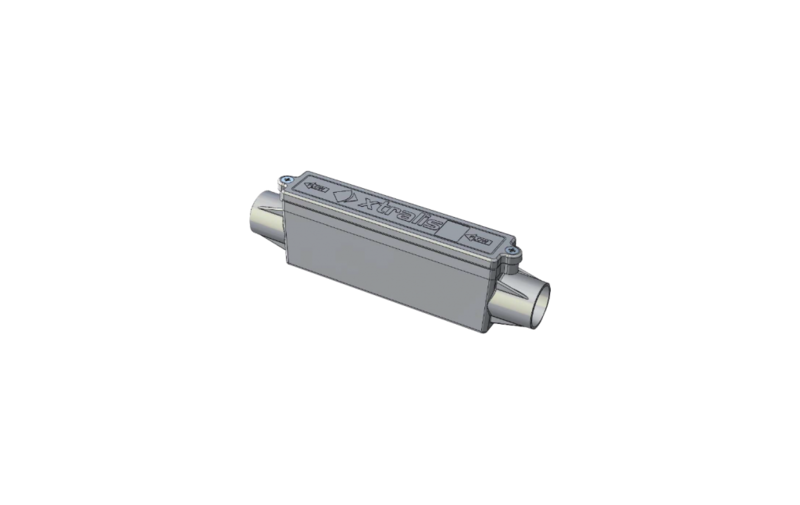 Having tapered inlet and outlet means the Xtralis In-Line Filter is easily fi tted in line with the sampling pipe without the need for any additional pipe fi ttings hence reducing the cost of installation. Filter elements can be easily replaced without having to remove the fi lter from the pipe network hence simplifying maintenance. Its elegant design blends in seamlessly into the installation where up to four can be installed side-by-side on Xtralis multi-pipe installations.